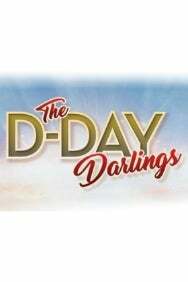 We do not curently have theatre tickets available for The D-Day Darlings. This could be because we have simply sold out or it could be that this show is no longer running. The information on this page remains purely for historical and informational purposes. Bringing the true spirit of the wartime era alive, The D-Day Darlings sing the heartfelt harmonies that kept Britain smiling through its darkest times with popular WW2 songs such as We'll Meet Again, I'll Be Seeing You, Land of Hope and Glory, and Bless Em’ All. Wearing original WRAF uniforms, the delightful darlings can perform against a backdrop of original 1940's film footage, taking the audience on a journey into the heart of an era where troops were being serenaded by the likes of ‘Dame Vera Lynn’, who is an advocate of the show. Also proudly supported by The Royal British Legion, the Forces’ favourite sweethearts do their bit for our nation’s heroes with each performance, having raised almost £40,000 to help the charity so far.